Medication reviews are important to ensure that your medicines and doses are appropriate and that you are not experiencing any unwanted side effects. We may contact you by letter, phone call and increasingly by text message. It is important that you attend review appointments even if you feel well and are happy with your medicines in order for the doctor to monitor your progress. If you are asked to attend the surgery for a review then no further prescriptions will be issued until you have attended the review appointment. Please do not use urgent appointments for a medication review. If you are taking medication regularly, long-term, then the clinician may decide that you do not need to see them each time you need a new supply of medicines. 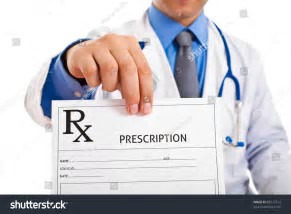 The clinician will add the medicine you need regularly to your records as a “repeat drug”, which you can order when your medicine is running low. If you have medicines on repeat you will be issued with a “repeat request slip” attached to your prescription. If you cannot see your medication listed on the repeat list, that is because it is not on your record as a 'repeat drug'. If you do not have a spare repeat slip, a request form can be obtained and filled in at reception. Alternatively, we would accept any written request, so long as it contains all the details about your medication - name, strength, dosage. If you are ordering dressings, catheters or ostomy bags then it is useful to the receptionist if you give the code/reference number on the form. Your repeat request slip cannot be used to order any new items, you will have to make an appointment to see the doctor or nurse. Before you ask for a repeat prescription, please STOP and THINK, are you still using ALL the medication on your repeat prescription? If not, then please inform the surgery. From 1st April 18, NHS Calderdale CCG has taken the decision to recommend that we cannot accept orders from 3rd Parties (Pharmacies, online pharmacies and medical equipment supplies). We understand that we will have a certain cohort of patients who will need assistance with ordering their medication. The practice is working closely with local pharmacies to identify patients who should be EXEMPT. You will now need to order your own medication. Prevent waste through medicines being over ordered. Put patients in control of their own medicines. You will need to order your repeat prescriptions from Rosegarth/Siddal Surgery when you have at least 7-10 days of medicines left. Did you know you can order online using a smartphone app or a computer? Please ask a receptionist for an online registration pack. You will need to show photographic ID & proof of address in order to obtain access and password. Drop off or post your repeat prescription request at the Practice. Requests must be in writing and may be submitted online, in person, or by post. We DO NOT take requests for prescriptions over the telephone, as mistakes are too easily made. Please allow two full working days between request and collection. We are happy to post prescriptions if a SAE is provided. 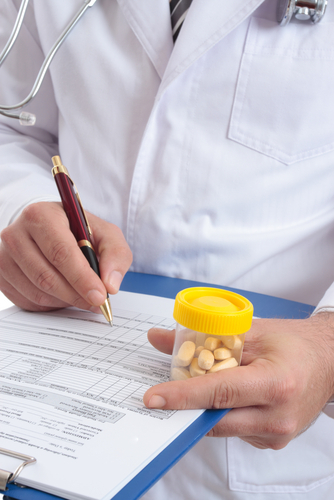 Many pharmacies offer medicines collection and delivery services. Ask your pharmacist for more information. If you wish the prescription to be sent directly to the pharmacy then please indicate the appropriate pharmacy on the request form. In May 2014 we introduced Electronic Prescription Service (EPS). EPS means we can send your prescription electronically to the chemist of your choice. Please contact the practice to let us know your preferred chemist. EPS saves money, time and the environment. 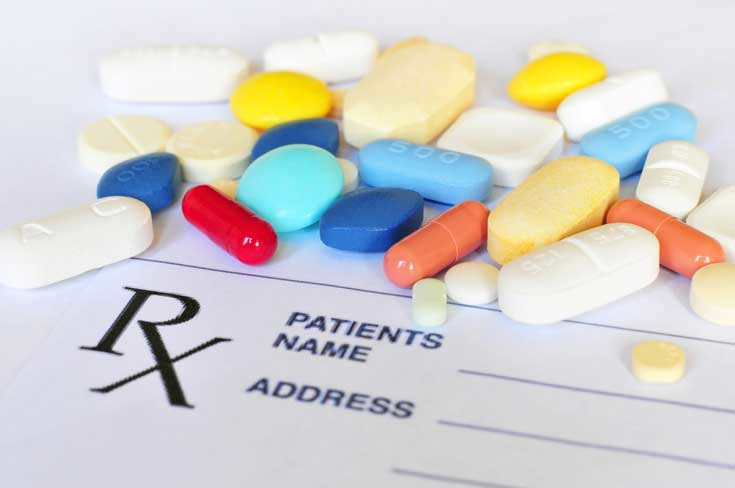 After receiving items on repeat prescription for a length of time, the doctor may request that you make an appointment to attend the surgery for a medication review with either a doctor or a nurse. We require two full working days for the safe preparation of your prescription, provided your request reaches us before 4 pm. Please collect you prescription after 2 pm. The most important reason is that it is safer. Some telephone messages to the surgery are not clear and can involve a great deal of time and effort in checking and chasing up correct drug details and the correct dosages. The receptionists at the surgery for a number of years have not been able to take requests for repeat medication over the phone, so please think ahead and order in plenty of time, leaving at least 2 working days for the prescription to be processed. This system has been successfully in place at our surgeries for a number of years and as a result we aim to provide a safer and more accessible service for you all. The NHS prescription charge is a flat-rate amount per item prescribed. Prescription prepayment certificates (PPCs) offer real savings for people who need extensive medication. Sunscreen productsBy not routinely prescribing these self-care treatments the NHS in Calderdale could save £300,000 each year, while £100,000 is spent every year on prescribing branded medicines without a medical reason, where a non-branded (generic) medicine containing the same active ingredient would be as effective. This decision has been made following public opinion and feedback gathered in our public consultation: Changing the way we prescribe in Calderdale, which ran from 16 October – 4 December 2017. Increasing demand for NHS services, as well as the effects of national austerity measures, means that the organisation must make difficult, but clinically-led, decisions to ensure that the money available can meet the health needs of people in Calderdale. Baby milks and formula for infants diagnosed with cows’ milk protein allergy, specialist metabolic disorders, for premature and other infants on the recommendation of a paediatric dietician/paediatrician where feeds are not readily available. Vitamins for a diagnosed vitamin deficiencies and following weight loss surgery. Emollients for patients with diagnosed psoriasis or eczema, foot care in diabetic patients, lymphoedema and to prevent skin ulceration in fragile patients. Sunscreen for patients diagnosed with abnormal reactions to sunlight. Branded medicines may still be prescribed where there is a clinical reason. For example some medicines for epilepsy need to be prescribed by brand. The CCG will also prescribe by brand where this is cost effective or recommended by local and national guidelines. If you or someone you care for uses the same medicines regularly, you may be able to benefit from electronic repeat prescriptions. This means you won't have to re-order or collect your repeat prescriptions from your GP practice every time you need more medicine.